Phil Hellmuth at the World Series. Not exactly a shocker. Except when he's filmed at the baseball World Series, not its famous poker equivalent. The 13-time WSOP bracelet winner managed to work his way not inconsiderable frame into shot during Game 4 of the World Series between the San Francisco Giants and the Kansas City Royals. 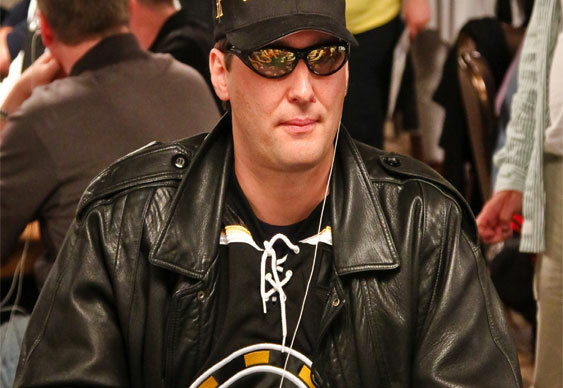 Hellmuth was recently given the chance to appear on reality TV show Wife Swap but Mrs Hellmuth nixed the idea. After scratching his baseball itch, Hellmuth is now in New York where he will be hosting the“All in” for Kids charity poker tournament Wednesday, 29 October. Organised in association with Dan Shak and the WPT Foundation, the tournament has raised almost $5m for the Children’s Hospital of Philadelphia since its inception in 2008.